Kids can be notoriously picky when it comes to what they eat. What they don’t understand is that eating nutritious food is a big part of good oral health, as well as growth. 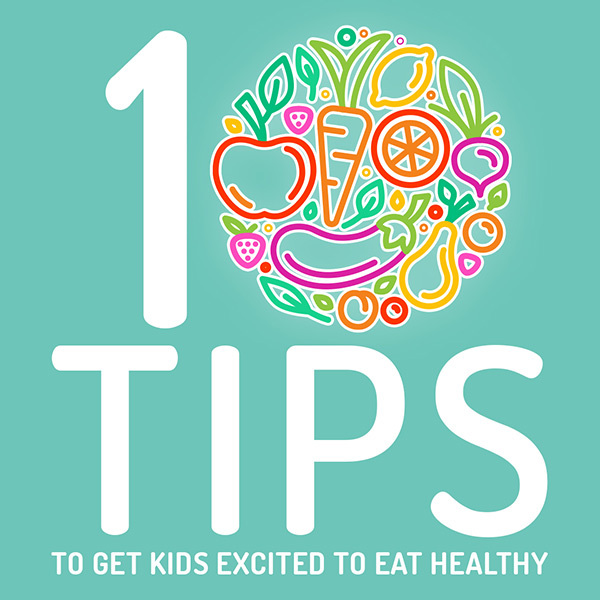 We have put together some tips from talking to the parents that visit our practice on how to get your kids excited to eat their fruit and vegetables, so everyone can be happy. Children tend to get fussy if they don’t recognize what is on their plate. If you plan on serving your child a new food, it would be a good idea to talk to them about it before dinner time. A good way to test this out on a child is to serve up some raw vegetables with some yummy dipping sauce or salad dressing, like hummus or cream cheese. Sometimes, getting a kid to taste a new food can be a fight in itself. Try to make the experience less scary by asking them to lick or crunch it instead. Presenting the situation in the format of a challenge or game will get your child invested. Try seeing how loud they can make their snack crunch. Take your child grocery shopping with you, so that they will be able to see and touch the produce for themselves. Be sure to explain to them where the food comes from. This will help develop an interest in food, and how it makes it way from the farm to their plate, while also reassuring them, they are getting quality food. Who doesn’t want to try what they helped make? Not to mention, it’s a great bonding experience for you all. A baby’s taste buds are most receptive between the ages of seven and 12 months. Keeping your baby’s foods bland long after this period can result in shocked reactions to stronger flavours. Once your baby hits 7 months, try to switch things up. If you are showing your kids that you enjoy healthier foods, they are much more likely to follow suit. Kids love routine and are much more likely to adapt to them when rewards are earned. Try making a chart to keep track of the amount of veggies and fruits eaten. You shouldn’t force your child to eat anything they don’t like. This will only make the situation worse. If they don’t like it, try some of the previous tips to see if you can change their mind. After all, our taste buds are always evolving so what they don’t like now they might love in a few years. Your child looks up to you, be sure to set a good example. Don’t turn your nose up at greens or fruit as a snack – remember, monkey see – monkey do! At the end of the day, these are only ideas to get the little ones more excited about eating their fruit and vegetables. The biggest factor is that the meals they are being served are full of them! At Somerset Dental Care we’re happy to have a chat to your kids and keep them motivated about eating the right foods so call us today on 1300 707 046 to book your next appointment.